Heathrow Airport Arrivals is a website dedicated to the comings and going at one of the worlds busiest airports. 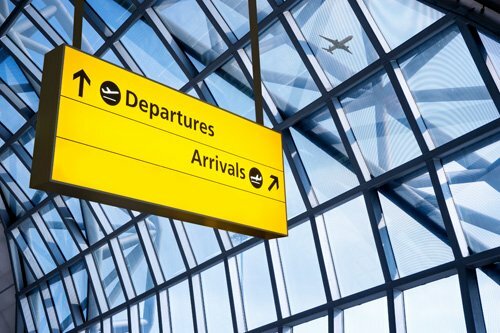 With hundreds of flights leaving and arriving in the UK’s capital from Heathrow every day, Heathrow Airport Arrivals is the number one online destination for keeping up to date with all of them! Made up of five terminals and two runways, London Heathrow Airport sees hundreds of flights per day landing and taking off from the site. London Heathrow Airport Arrivals is an unofficial guide to make your trip to the airport more enjoyable and stress free. The live flight pages allow you to keep up to date with aircraft landing and taking off from the busy airfield situated to the West of Central London. Using information gathered from top exterior sources, our data tracks the up to the minute flight arrivals and departures from Heathrow and compiles them here for you to keep track of the very latest travel information from this buzzing modern airport. As you would expect from such a busy airport Heathow is well connected to both the rail and road network making it easily accessible from many parts of the South East. Situated just of the M25 motorway which circles the city of London the airport is ideally situated for all London residents. It has a bus and rail stations and is connected to central London via the Heathrow Express rail link. Heathrow also acts as a hub airport for the UK’s carrier British Airways with many flights arriving from most of the UK airports. The new and modern Terminal 5 is home to British Airways and has many flights departing to many places around the world. Nearly 90 of the worlds airlines use Heathrow Airport and they carry over 60 million passengers per year. The airport site covers a vast area so buses and a rail network interlink the 5 terminal buildings making it easy to catch ongoing flights. Most of the worlds major airlines are based at the airport so the destination list is endless. The airport has state of the art facilities and plenty of shops and eateries to help you use up the time before boarding a flight or waiting for a friend, relative or busines associate at the airport. The site has a number of parkign facilities for both long and short term car parking allsituated close to the terminal buildings. As the premier unofficial guide to Heathrow arrivals and departures, we do our utmost to ensure all the information featured is accurate. However as our information is gathered from outside sources, we cannot be held accountable for any incorrect or misleading travel information. If you are unsure of the accuracy of flight times or data featured on this website, we would recommend you contact Heathrow Airport directly or call your airline.